The Immune system is made up of cells, tissues, and organs that work together to defend against germs. The role of the immune system is to protect against disease or other potentially damaging foreign bodies. It also protects the host from a group of pathogenic microbes that are themselves constantly evolving. The immune system helps the host to eradicate toxic or allergenic substances that enter through mucosal surfaces. Central to the immune system’s ability to mobilize a response to an invading pathogen, toxin or allergen is its ability to distinguish self from non-self. Both innate and adaptive mechanisms is used by the host to detect and eliminate pathogenic microbes. Microbiology refers to all living organisms that are too small to be visible with the naked eye. This includes bacteria, viruses, fungi, archaea, prions, protozoa and algae, collectively known as 'microbes'. These microbes play key roles in nutrient cycling, biodegradation, climate change, food spoilage, the cause and control of disease, and biotechnology. Cellular immunology includes the activities of cells in experimental or clinical situations. 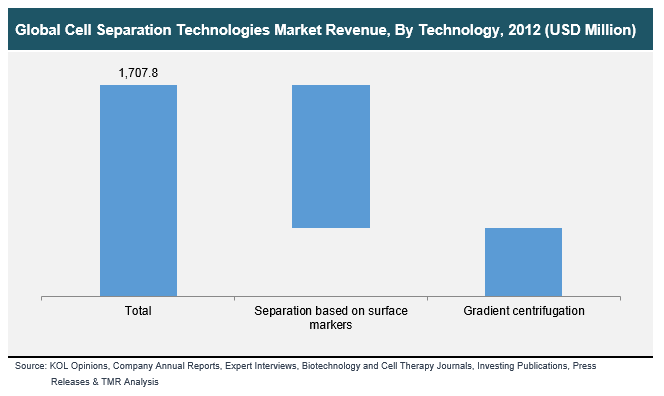 It concerns with interactions among cells and molecules of the immune system, and how such interactions contribute the recognition and elimination of pathogens. 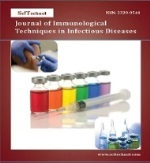 It focuses on the topics like Immunologic deficiency states and their reconstitution Antigen receptor sites Autoimmunity, Delayed-type hypersensitivity or cellular immunity, Transplantation immunology, Immunologic surveillance and tumor immunity, Immunomodulation, Lymphocytes and cytokines, Immunotherapy, Resistance to intracellular microbial and viral infection, Parasite immunology, Thymus and lymphocyte immunobiology. The term autoimmunity refers to a failure of the body’s immune system to identify its own cells and tissues as “self”. Instead, immune responses are launched against these cells and tissues as if they were foreign or invading bodies. Inflammation is a process by which the body's white blood cells and substances they produce protect us from infection with foreign organisms, such as bacteria and viruses. Multiplesclerosis, the most common nerve disease in young adults, is a chronic inflammatory disorder of the nervous system that is believed to be due to a misguided autoimmune attack on myelin, a protective coating on nerve cells. In multiple sclerosis, myelin is slowly eroded by the body's immune system, leading to problems with muscle coordination and vision. As the disease progresses, for some reason inflammation decreases, but lasting damage has already been done to body tissues. It is the process by which antigen-presenting cells digest proteins from inside or outside the cell and display the resulting antigenic peptide fragments on cell surface MHC molecules for recognition by T cells is central to the body's ability to identify signs of infection or abnormal cell growth. As such, understanding the processes and mechanisms of antigen processing and presentation provides us with crucial insights necessary for the design of vaccines and therapeutic strategies to bolster T-cell responses. Multiple sclerosis, the most common nerve disease in young adults, is a chronic inflammatory disorder of the nervous system that is believed to be due to a misguided autoimmune attack on myelin, a protective coating on nerve cells. In multiple sclerosis, myelin is slowly eroded by the body's immune system, leading to problems with muscle coordination (because muscles require the action of nerves) and vision. As the disease progresses, for some reason inflammation decreases, but lasting damage has already been done to body tissues. Researchers suspect that the autoimmune trigger in multiple sclerosis may be infection by a virus or other microorganism, but this has not been proven beyond doubt. Clinical immunology is defined as study of diseases and disorders that may occur as a result of weak immune system including failure, aberrant action, and malignant growth of the cellular elements of the system. It also includes diseases of other systems, where immune reactions play a part in the pathology and clinical features. 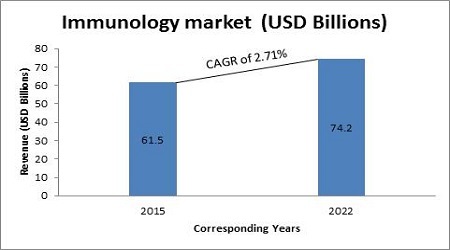 Application of immunological discovery to the delivery of effective immunological solutions for the benefit of health and wellbeing is termed as translational immunology. For instance the development of vaccines against infectious diseases or the engineering of new types of drugs to treat inflammatory disorders. 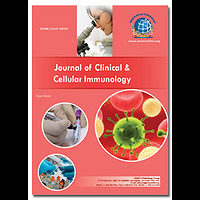 Immunology refers to physiological functioning of the immune system in states of both health and disease; malfunctions of the immune system in immunological disorders (autoimmune diseases, hypersensitivities, immune deficiency, transplant rejection); the physical, chemical and physiological characteristics of the components of the immune system in vitro, in situ, and in vivo. Several approaches has been developed by the immune system to control viral and bacterial infection, which range from direct killing of pathogen to elaborating cytokines that inhibit replication. Pathogens have countered by developing a variety of immune evasion mechanisms that inhibit cytokine function and prevent immune recognition of infected cells. Transplant immunology is defined as the immune response that occurs when an organ or tissue is moved (grafted) from one individual to another. Transplantation is the act of transferring cells, tissues, or organs from one site to another. The malfunction of an organ system can be corrected with transplantation of an organ (eg, heart, lung, kidney, liver or pancreas) from a donor. The immune system has developed elaborate and effective mechanisms to combat foreign agents. These mechanisms are also involved in the rejection of transplanted organs, which are known as foreign by the recipient's immune system. However, the immune system remains the most formidable barrier to transplantation as a routine medical treatment. Cancers are not just masses of malignant cells but complex ‘rogue’ organs, to which many other cells are recruited and can be degraded by the transformed cells. Cancer immunology is the study of the immune system in the progression and development of cancer; the most well known application is cancer immunotherapy, which utilizes the immune system as a treatment for cancer. Immunotherapy is treatment that utilizes certain parts of a person’s immune system to fight diseases such as cancer. This can be done in a couple of ways: Own immune system stimulation, Biological therapy or biotherapy. These developments in cancer immunotherapy are the result of long-term investments in basic research on the immune system—research that continues today. Ecoimmunology is the combining aspects of immunology with ecology, biology, physiology, and evolution. Ecological Immunology assumes that immunological defenses must be minimized in terms of cost (energy expenditure). Studying the causes and consequences of investment in immune function, termed ecological immunology, has transformed multiple realms of biology, including behavioral ecology, disease ecology and life history evolution. Behavioural immune system comprises psychological processes that infer infection risk from perceptual cues, and that respond to these perceptual cues through the activation of aversive emotions, cognitions and behavioural impulses. These processes have significant implications for human social cognition and social behavior. Immunogenetics is a branch of Immunobiology which is defined as subspeciality of medicine that studies the relationship between genetics and immunology. It comprises the study of normal immunological pathways and the identification of genetic variations that result in immune defects, which may result in the identification of novel therapeutic targets for immune diseases. It helps in understanding the pathogenesis of several autoimmune and infectious diseases. It comprises all processes of an organism, which are, on the one hand, controlled and influences by the genes of the organism, and are, on the other hand, significant with respect to the immunological defense reactions of the organism. Neuroimmunology is the study of the interaction between central nervous system (the brain and spinal cord) and immune system. Neuroimmunology contributes to development of new pharmacological treatments for several neurological conditions. Neuroinflammation and neuroimmune activation have been shown to play a role in the etiology of a variety of neurological disorders such as stroke, Parkinson's and Alzheimer'sdisease, multiple sclerosis, pain and AIDS-associated dementia. Cognitive neuroscience becomes a very major method to understand human cognition, meanwhile results can clarify functional brain organisation, such as the operations performed by a certain brain area and the system of distributed, discrete neural areas supporting a particular Psychological representation. Infection refers to invasion of the body by a foreign organism. Infection ranges from mild and self-limiting (colds or most cases of food-poisoning) to life-threatening (cholera, tuberculosis). The severity of a given infection may vary according to the patient - many infections which are mild in healthy young adults may be very dangerous to babies or old people. Allergies are among the most common chronic conditions worldwide. Allergy symptoms range from making you miserable to putting you at risk for life-threatening reactions. Allergies can cause a variety of symptoms such as a runny nose, sneezing, itching, rashes, swelling, or asthma. Allergies can range from minor to severe. Anaphylaxis is a severe reaction that can be life-threatening. Doctors use skin and blood tests to diagnose allergies. These diseases include allergic asthma, hay fever, food allergies, atopic dermatitis, and anaphylaxis. Symptoms can be red eyes, an itchy rash, sneezing, a runny nose, shortness of breath, or swelling. Vitamins are organic compounds that are needed in small amounts to sustain life. Most vitamins need to come from food. Antioxidants help to neutralize harmful free radicals – rogue molecules that results damage to healthy cells. Researchers believe that when the balance between free radicals and antioxidants is upset, it can contribute to the risk of developing health issues. Antioxidants are the best vitamins for immune system support. A diet rich in antioxidant vitamins and nutrients can help maintain healthy immunity that help your body to fight off infection. 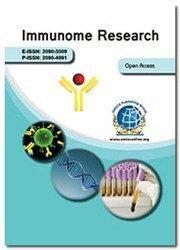 Computational immunology includes the development and application of bioinformatics methods, mathematical models and statistical techniques for the study of immune system biology. It aims to study the complex protein–protein interactions and networks and allows a better understanding of immune responses and their role during normal, diseased and reconstitution states. Computational immunology covers a broad range of applications. Mathematical models have long been used for modeling immune responses, as well as molecular and cellular interactions, development of infection, tumor growth, and host-pathogen interactions. The applied arm of computational immunology, immunoinformatics, is dedicated to development and application of computational methods and tools for the analyses of immunological data and knowledge extraction using statistical inference and machine learning algorithms. Immunodeficiency disorders prevent body from fighting infections and diseases. This type of disorder makes it easier for you to catch viruses and bacterial infections. Immunodeficiency disorders impair the immune system’s ability to defend the body against foreign or abnormal cells that invade or attack it (such as bacteria, viruses, fungi, and cancer cells). As a result, unusual bacterial, viral, or fungal infections or lymphomas or other cancers may grow. Immunodeficiency disorders may affect any part of the immune system. Most often, these conditions occur when special white blood cells called T or B lymphocytes (or both) do not function normally or your body does not produce enough antibodies. Vaccination does not guarantee immunity. Natural immunity occurs only after one recovers from the actual disease. During the disease, the microorganism usually has to pass through many of the body’s natural immune defense systems—in the nose, throat, lungs, digestive tract and lymph tissue—before it reaches the bloodstream.Vaccines contain a dead or live but weakened germ that can cause a particular disease, like tetanus. When we are given a vaccine shot, our body immediately produces antibodies against the antigen or foreign body. It is at this point that most believe the body’s defense mechanism kicks in and immunity will occur in the event that the said antigen gains entry again into the body. But, this is not the case with all vaccines. The immune system consist of an innate (non-specific) and an adaptive (specific) response. Innate immunity is constitutively present and is mobilized immediately following infection. Innate immunity is termed non-specific because the protective response is the same regardless of the initiating infection. This is in contrast to the adaptive immune system which is slower, responds specifically, and generates an immunological memory. Before vaccines, people became immune only by actually getting a disease and surviving it. Immunizations are an easier and less risky way to become immune. Conferences Series invites all the participants from all over the world to attend “10th International Conference on Clinical and Cellular Immunology” during August 6-7, 2018 at Madrid, Spain which includes prompt keynote presentations, Oral talks, Poster presentations and Exhibitions. Immunology World 2018 which aims to gather the most elegant societies and industries along with the renowned and honorable persons form top universities across the globe. On behalf of its organizing Committee welcomes all the Immunology researchers, industrialists, young scientists as well as student and corporate delegates to participate and to have a great experience. The theme of the conference is based on “Translational research and novel approaches in clinical and cellular Immunology”. During immunology conferences, the International symposiums, B2B meetings, international workshops will also be organized to discuss the specific topics in the field of Immunology and Microbiology. The conference also welcomes International exhibitions from corporate sectors to showcase the recent advancements in tools and techniques. Conferences Series organizes a conference series of 1000+ Global Events inclusive of 300+ Conferences, 500+ Upcoming and Previous Symposiums and Workshops in Middle East, Asia, Europe and USA with support from 1000 more scientific societies and publishes 700+ Open access journals which contains over 30000 eminent personalities, reputed scientists as editorial board members. With members from around the world focused on learning about Immunology and its advances; this is your best opportunity to reach the largest assemblage of participants from the Immunobiological community. Conduct presentations, distribute information, meet with current and potential scientists, make a splash with new drug developments, and receive name recognition at this 2-day event. World-renowned speakers, the most recent techniques, developments, and the newest updates in Immunity are hallmarks of this conference. Immunology World 2018 is to gathering people in academia and society interested in immunology to share the latest trends and important issues relevant to our field/subject area brings together the Global leaders in Immunology and relevant fields to present their research at this exclusive scientific program. The Immunology Conference hosting presentations from editors of prominent refered journals, renowned and active investigators and decision makers in the field of Immunology. 10th International Conference on Clinical and Cellular Immunology Organizing Committee also invites Young investigators at every career stage to submit abstracts reporting their latest scientific findings in oral and poster sessions. The conference will include invited speakers, oral presentations, poster session and the young scientist award. Conference Series Ltd organizes 1000+ Global Events inclusive of 300+ Conferences, 500+ Upcoming and Previous Symposiums and Workshops in USA, Europe & Asia with support from 1000 more scientific societies and publishes 700+ Open access journals which contains over 30000 eminent personalities, reputed scientists as editorial board members. Madrid is the most populous city and the capital of Spain with a metropolitan area of about 3.2 million Inhabitants. There are about 15 Universities in and around Spain which are working in the field of Neurological disorder. Around 1000 neurologist, psychiatrist and neurosurgeons and neuroimmunologists are working exclusively on Neurological disorder in Spain. Along with professional services, media companies are concentrated in Spain and the media distribu¬tion industry is Spain’s second most competitive sector. Immunology World 2018 Targets, CEO’s, Directors, Scientists, Professors, Students of all Biotech & Pharma companies, Universities and colleges globally.